Here is a picture of Jean Baden Dubois who became the new BRH governor, replacing Charles Castel. 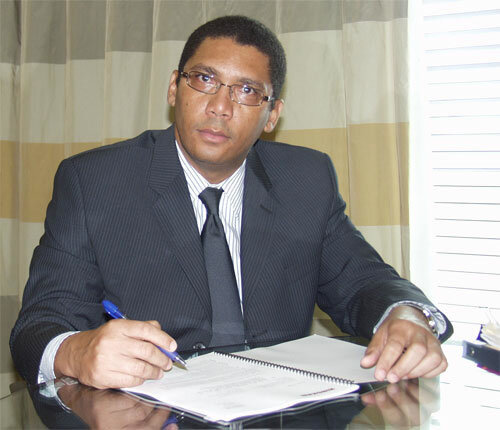 By a Presidential Order dated 23 November 2015, which has been released on December 17, 2015, John Baden Dubois became the new Governor of the Bank of the Republic of Haiti, replacing Charles Castel. Prior to this appointment, Jean Baden Dubois was acting as the CEO of the bank. In 1991, Charles Castel joined BRH as an advisor to then Governor of the bank. Thereafter, serving in various capacities, namely General Counsel, Director of Banking Supervision and General Director, he became the Governor of the bank in 2007 and served till December 2015. Castel was instrumental in spearheading the government's successful privatization program. As per the presidential decree, the reconstitution of the board was necessary "Considering the temporary dysfunction of the Legislative Power" and "to ensure the regular functioning of institutions and government agencies". The new council of BRH would be composed as follows: Jean Baden Dubois: Governor; Georges Henry Fils: Vice-Governor; Georgette Jean Louis: Director General; Kurdy Larèche: Member. Here is a picture of the Centre de convention et de documentation, BRH. 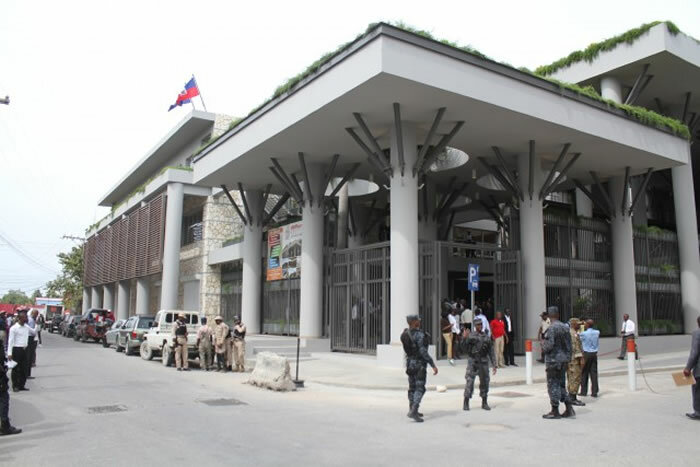 On Tuesday, November 17, 2015, President Michel Martelly and Governor Charles Castel inaugurated the convention center and documentation of the Bank of the Republic of Haiti (BRH) located at the corner of Paved streets and Quai in the capital city and unveiled a monument for the victims of the earthquake of January 2010. The center has been built over an area of 6,000 square meters as per earthquake and par cyclonic resistance norms at a cost of $14.5 million. The center with a capacity to accommodate 1,500 people will employ state of the art technologies and consists a multifunctional exhibition room, an area of documentation, a dressing room for artists for musical and theatrical performances and a restaurant. The President expressed his warm congratulation to the Board of the BRH and other actors involved in the construction. Prime Minister Evans Paul and other dignitaries from the social and business sectors were present during the occasion. To create interest among old and new customers, Digicel has decided to transform its TchoTcho service into Mon Cash. 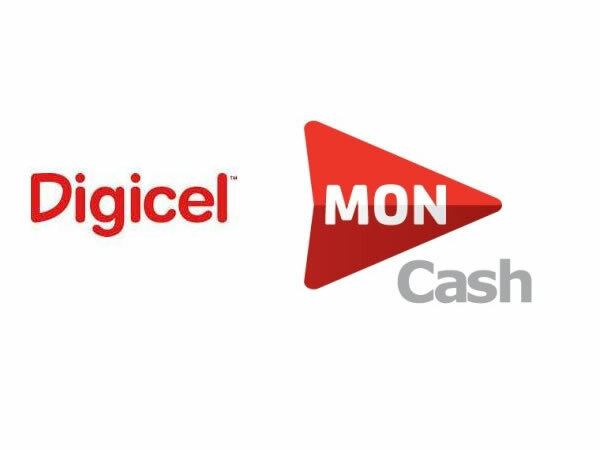 Digicel's Tcho-Tcho has been re-branded as Mon Cash. For subscribers no standard bank account is necessary to use Mon Cash. The updated version includes more functionality with an expanded network of authorized agents. Account types offered include mini and comprehensive portfolios and a regular account. The new version is focusing on intra-Haiti money transfers. Digicel boasts Mon Cash ". . . the safest, most convenient, fastest and . . . economical to send and receive money . . ." in Haiti. 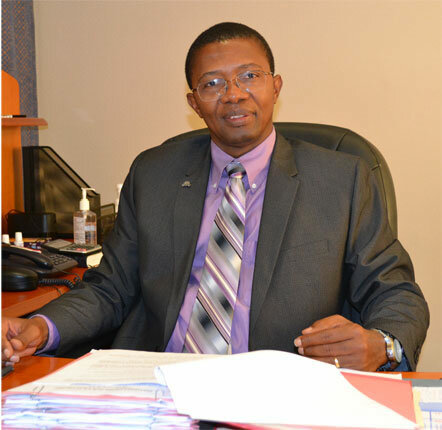 Here is a picture of Haiti Central Bank Governor, Mr. Charles Castel. He is not concerned Gourde is losing Value. Charles Castel, Bank of the Republic of Haiti Governor, is responding to worries the Haitian gourde is losing value too quickly. According to him, "There is a gross reserve of $2 billion (US), and $1.2 billion net ". in the state's reserve"
He reports "indicators are not too alarming (but also) . . . we cannot be complacent to say everything is fine . . ." Is this reassuring to Haitians withdrawing money and sending it overseas? Natcom has decided to get into the game of Lajan Cash. The trade name of the Mobile Banking launched through the use of cell phone as electronic wallet. On Monday, June 1, 2015, the Haitian Prime Minister Evans Paul took part at the launching ceremony of 'Lajan Cash" held in the Natcom auditorium. 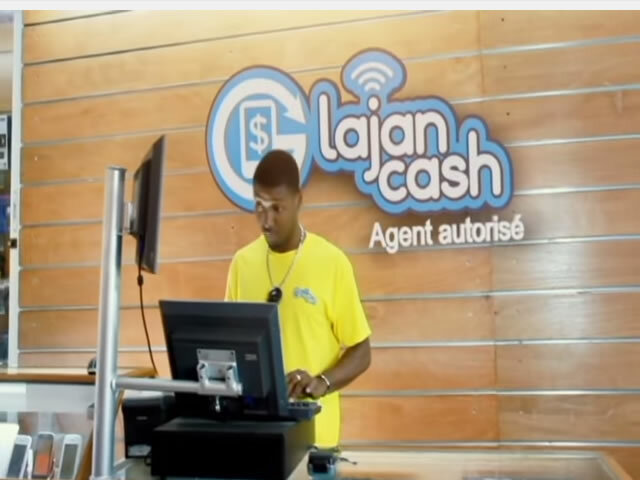 "Lajan Cash" is a form of electronic wallet, now available on the Natcom network. With the introduction of this new opportunity, the Natcom cell phone users can use their mobile phones to electronic payment solutions, and this became possible with the result a of partnership between Natcom and the Banque Nationale de Credit (BNC). The Natcom subscribers can spend and transfer money with speed and confidence. Evans Paul, as the Head of Government welcomed the new product and hoped this would be more accessible to all people in the country including those in rural areas in near future. It was not long that you needed 40 Haitian gourde to get one U.S. dollar. This is expected to increase even more. The exchange rate for the Haitian Gourde per U.S. Dollar had remained unchanged at 47.20 between May 2014 and April 2015. 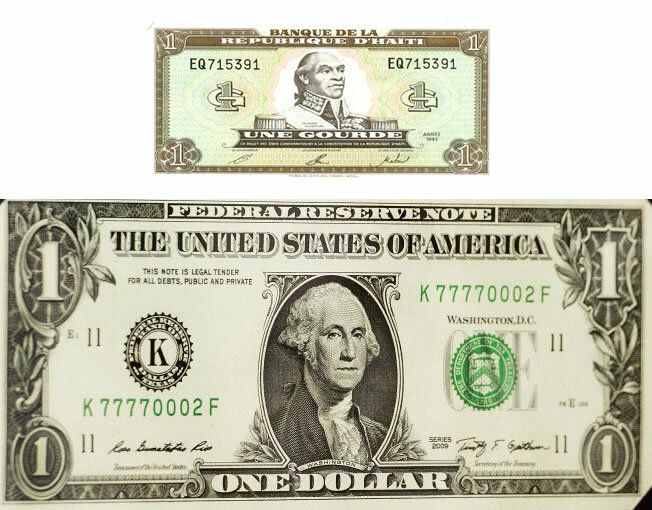 The same currency exchange rate was averaged at 31.89 to a U.S. Dollar from 1994 until 2015 with a maximum of 50.00 (in February 2003) and a minimum of 14.85 (in August 1996). However, over dependence on import from countries like, the Dominican Republic and United States have resulted excessive outflow of foreign currency reserve, because the exporters of foreign countries accept payment only in their own currency or currency of their choice. Inflow of foreign currency in a country is mainly generated through its exports. Unfortunately, the imports in Haiti have always overshadowed Haitian exports. As a result, higher demand for U.S Dollar than its supply will eventually push its price higher. In consequence, the current exchange rate 48.75 gourdes for a dollar may soon surpass 50.00. If that happens, that would be the steepest devaluation of the Haitian gourde in past 15 years. To some extent, unstable economical and political situations, dysfunctional Parliament are also some of its contributing factors. 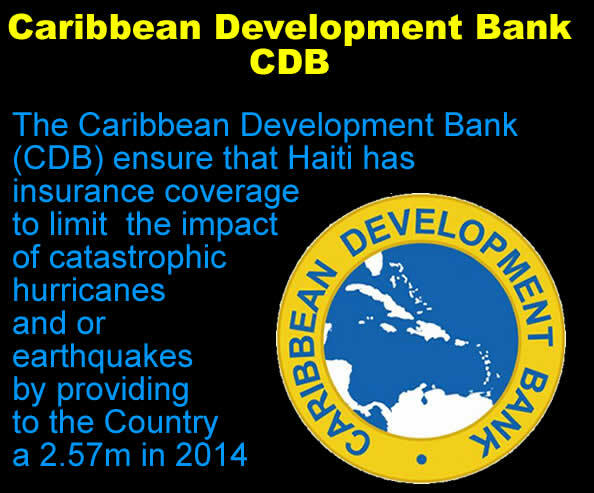 Caribbean Development Bank (CDB) will pay Haiti's insurance premium to the Caribbean Catastrophe Risk Insurance Facility (CCRIF) for coverage period June 1, 2014 - May 31, 2015. CCRIF, an insurance fund used to mitigate damages caused by natural disasters, protects Caribbean countries. Funding was provided by Japan with contributions from international donors. CDB Director Pierre-Louis thanked the CDB Board of Directors for the grant they approved at their meeting in Barbados on October 16, 2014. Owners of Private Mortgage Funding Corporation (PMFC) have run a scheme on Haitian homebuyers in the Fort Lauderdale area. 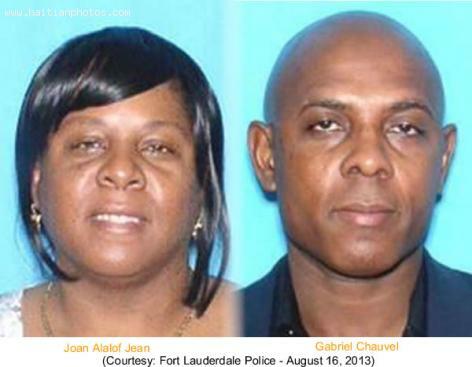 Gabriel Chauvel and Joan Jean targeted Haitians interested in buying a home. The couple showed properties and demanded buyers ink a three-month contract, with deposits of $5,000-$15,000. Their checks went into owners' bank account. When buyers wanted to end their contract, they found PMFC offices closed and calls were un-returned. No actual sales were ever made by PMFC. Le Chic Poulet by Haiti Broilers S.A.